One of the things any webmaster or online marketing savvy person will tell you is that there are no short cuts in the long run. From link farms to spamming, unethical techniques are always going to be found out and dealt with in the end. Facebook Likes are one of those things that have received an air of the unethical for a while now. 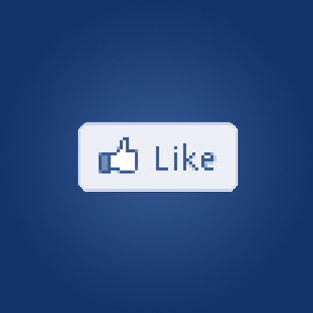 Buying Likes on Facebook and followers on Twitter is a move that has become all too common. However, it seems things are set to change, for Facebook at least. Facebook stated that “Facebook was built on the principle of real identity and we want this same authenticity to extend to Pages.” It seems Facebook is acting on brand scepticisms over the value of Likes and will be removing ‘Fake Likes’. Likes are all important to the credibility of Facebook, which has seen its share value halve since public launch a few months ago. If it ever became commonly [perceived that Likes were not worth nearly as much as they are thought to be this would be significantly detrimental to Facebook. According to Facebook only 1% of Likes on the average page are fakes, however, some pages are affected more than others. To improve the authenticity of Likes Facebook has employed a new automated system it claims will rid Likes created by malware, fake accounts and compromised accounts. This obviously helps Facebook grab control of a slow train coming in terms of credibility and also benefits social media marketers too. Of course, it’s a problem that has the potential to become and epidemic and if you search Google asking how to purchase Facebook, Twitter or most social media site Likes or follows and you’ll be inundated. And, there’s no doubt why there are so many companies offering such services – it’s quite a lucrative service. Suggestions are that you receive around 1,000 Likes for a £20 payment to a company. Considering that there are possibly billions of Likes on Facebook and 1% are fake, this is quite a substantial market in monetary terms and many businesses are profiting quite nicely from fake Likes and followers. Of course, for Facebook this admittance is in the short term a bit of a blow and will shake some marketer’s confidence and possibly share prices further. However, it’s the long term answer and Facebook simply has to bite the bullet now or it won’t be able to off the evil day when Facebook Likes aren’t worth the paper they’re printed on. The other side of the coin returns to the argument for ethical SEO. As we can see from the Facebook conundrum, it will always win out because it has to, simply for the good of the web and business. Ethical marketing agencies are the only way to long term success and this story is just another pointer along the road towards this truth. To learn more about our social media marketing services, click here.